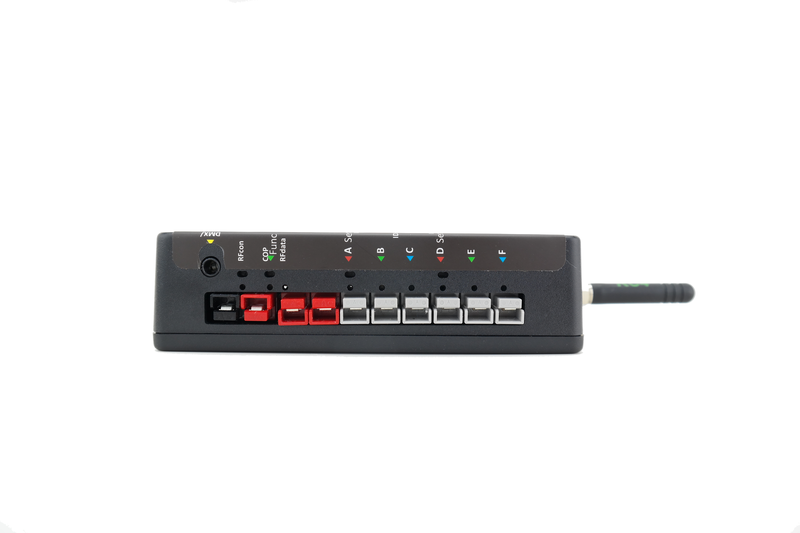 Wireless low-voltage, high-power, 42A DMX-controlled 6-channel dimmer for theatre and motion picture. Control LEDs & lamps in props, large set pieces, and more. 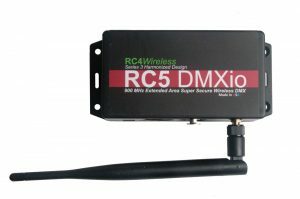 Part of the RC4Magic S3 2.4GHz platform with the RC4Magic Lifetime Warranty. 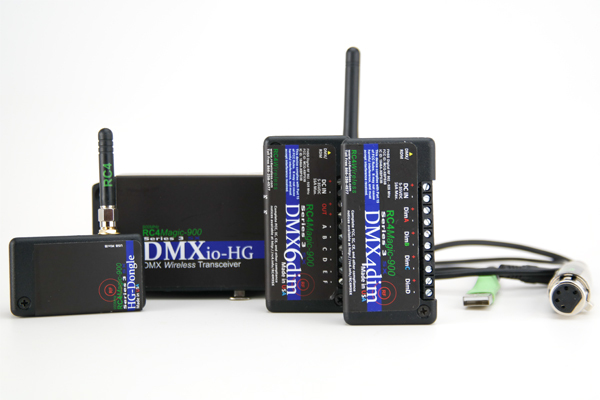 RC4Magic-900 operates in the 902-928 MHz RF band, licensed ONLY for USA, Canada, Australia, New Zealand, and Brazil. 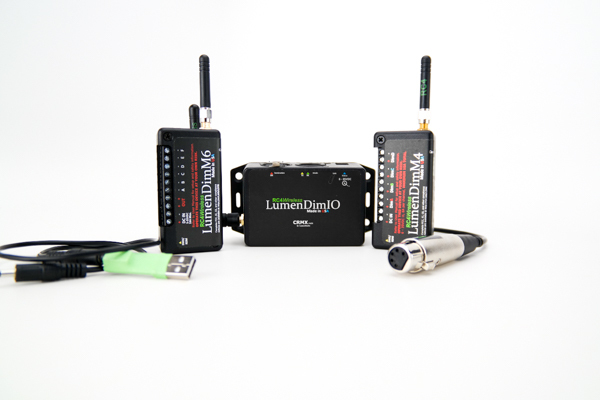 In other jurisdictions, including Europe, Asia, and Africa, our 2.4GHz RC4Magic Series 3 system is the perfect choice. 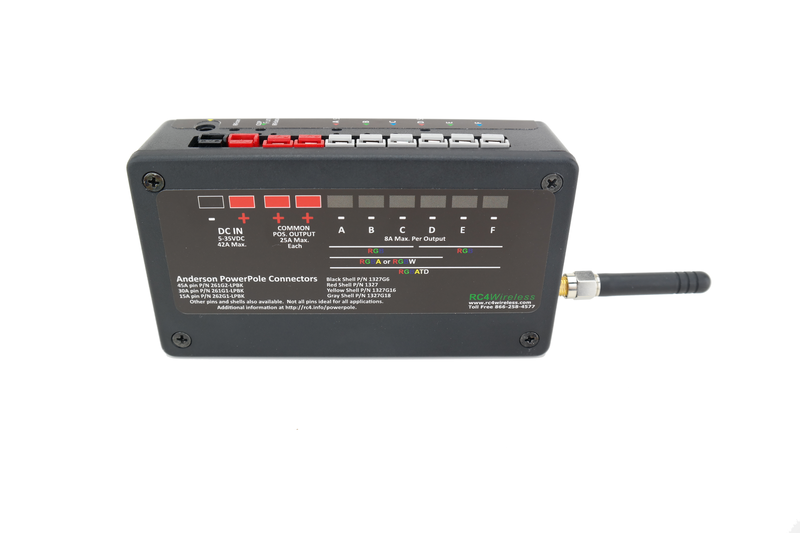 The RC4Magic Series 3 900SX DMX6dim-500 is a 42A high-power 6-channel DC dimmer for props, turntables, set pieces, and more. 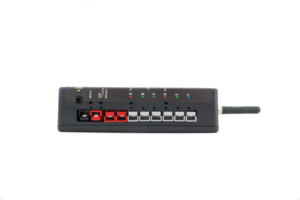 It smoothly dims LEDs and lamps, controls small DC motors with wide-range speed control, and provides many features to optimize color and appearance for a variety of theatre and motion-picture applications. It operates from 6VDC to 35VDC with low heat generation and maximum energy efficiency. 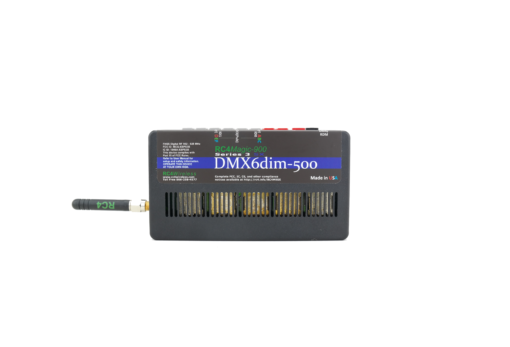 The 900SX DMX6dim-500 is fast, easy and ultra-reliable. 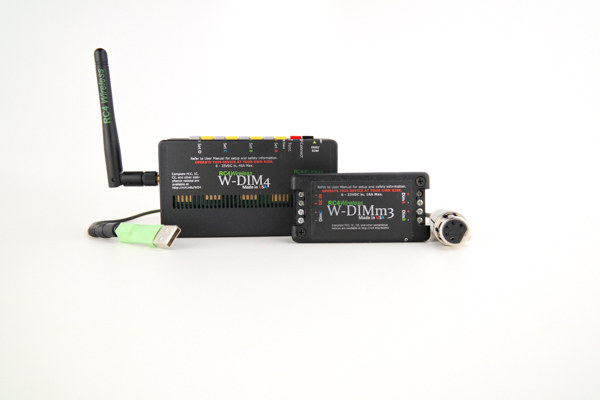 In the 900MHz band, there is less wireless interference and, thanks to RC4 System IDs, the signal is safe and digitally secure. The 900SX DMX6dim-500 is covered by RC4Magic Lifetime Warranty, the only warranty of its kind in the industry. All RC4 Series 3 products now include 19-bit dimming, which is eight times finer than 16-bit with 524,000 steps of resolution. This means exceptionally smooth LED dimming, especially at the bottom end of the curve where other dimmers appear steppy and jumpy. 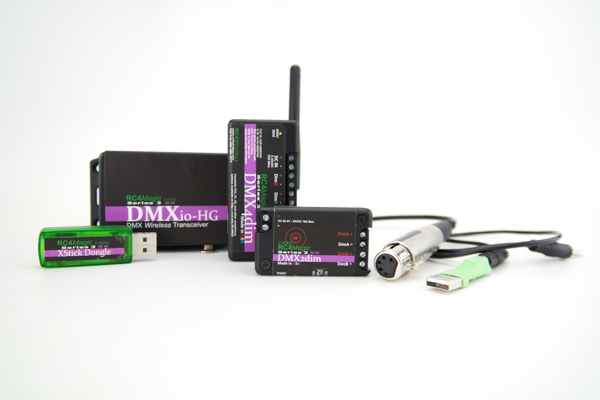 The 900MHz DMX6dim-500 also features dimmer curve tweaking to find the most visually linear and pleasing response with any LED technology being used.